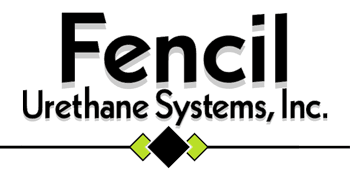 Since 1972, Fencil Urethane Systems, Inc., has been providing expert, innovative solutions to meet the insulation needs of businesses and home-owners throughout Wisconsin. We are a family-owned business located in Wisconsin Rapids, specializing in the application of polyurethane foam and other insulation products. Our insulation systems are custom designed to be long-lasting, comparatively inexpensive and extremely effective. Fencil Urethane Systems has been insulating residential and commercial buildings since 1972. We specialize in closed cell polyurethane foam insulation. We also install the blown in batt system and blown in cellulose and fiberglass insulation. Our goal is to make your building perform the best way possible. We have experience in many different fields giving us the knowledge to inform our clients on how to properly insulate their building. We have experience in insulating vegetable warehouse storage, office buildings, hospitals, surgery centers, warehouses, coolers/freezers, tanks, pipelines, SPF roof systems, water parks and more.